With the Internet of Things (IoT) and Artificial Intelligence (AI) era coming into full swing, various intelligent and connected devices are also emerging onto the scene. In this special series, Samsung Newsroom explores the current integration of AI into consumer electronics, from TVs to refrigerators, to highlight the smart life that users can enjoy and experience right now. The potential of artificial intelligence (AI) is exciting and vast, with researchers just starting to understand all the potential applications. However, one solution which users can tap into now, to experience how AI can make their lives more convenient and easier, is Samsung Electronics’ HomeCare Wizard. 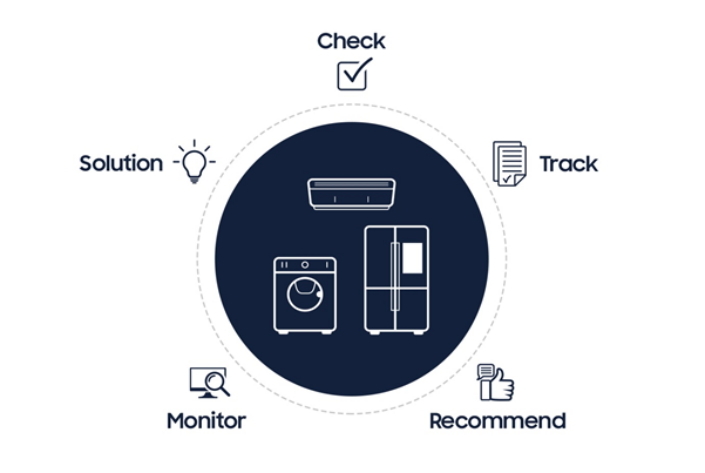 The unique AI-based service solution, available on Samsung’s 2018 smart home appliances, essentially enables devices to diagnose themselves for not only system errors, but to enhance efficiency and to help users use their appliances better. To provide an example of how HomeCare Wizard works, just imagine if a refrigerator starts to provide less cooling than usual. HomeCare Wizard will immediately detect and provide an alert that something is off, as well as diagnose the cause of the problem without requiring the visit of a technician. Through analysis of usage patterns, HomeCare Wizard will also help users better maintain and utilize their appliances, like reminding them when it’s time to clean the washing machine tub or providing tips to ensure the best energy efficiency. Let’s take a closer look at HomeCare Wizard and the intelligent benefits it is set to provide. 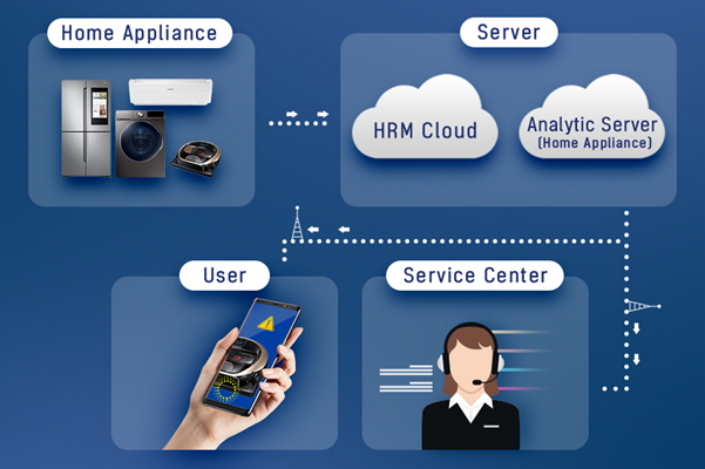 HomeCare Wizard made its debut with the recent launch of Samsung’s QuickDrive™ washing machines, and utilizes AI learning to offer users benefits that go above and beyond the scope of similar diagnostic services. Whereas similar services’ diagnoses are typically limited to cut-and-dry system errors, HomeCare Wizard’s advanced algorithm also alerts users of less obvious factors that may be affecting their device’s efficiency, in particular non-system related errors. For instance, if the air conditioner’s breeze isn’t quite cool enough due to something like a contaminated filter, which a user can easily clean on his or her own, HomeCare Wizard can quickly diagnose such issues. Therein lies another of the solution’s key benefits. If HomeCare Wizard determines that a particular issue does not require a service professional to be dispatched to a user’s home, it will provide simple instructions to help users solve the problem by themselves. This reduces the need for users to schedule such visits, and helps them find the solutions they need faster. Identifying and explaining an issue’s exact source can also be difficult at times and in such cases a user will need to call a Samsung service center to get to the bottom of the problem. As HomeCare Wizard sends the device’s diagnostic data directly to the service center, the service center will be fully aware of the nature of the problem before the call is even made. Why is it So Compelling? More often than not, when appliances don’t behave the way users are supposed to and it is difficult to figure out why, the result is hours spent scouring the web or contacting a service center for answers. In other instances, users are forced to wait for a technician to visit their home. The promise of HomeCare Wizard, through AI, is the potential to change this paradigm as smart devices and appliances essentially diagnose, and even give solutions, themselves. HomeCare Wizard’s technology also has the added benefit of making it easy for users to monitor energy use and usage patterns, and utilize their devices more efficiently. Users have the option to receive regular usage reports through the mobile app, which in addition to offering 24-hour troubleshooting and diagnostics, will provide customized tips based on users’ usage patterns to help them get more out of a particular appliance. This means that, for example, a washing machine with HomeCare Wizard can determine which laundry cycles are used most frequently, notify users of how often they’re doing laundry, and present them with the option to save their top three most frequently used cycles as ‘favorites’. To provide such deep-level analysis, HomeCare Wizard compares a device’s previous operation alongside its current status in order to diagnose recurring problems. 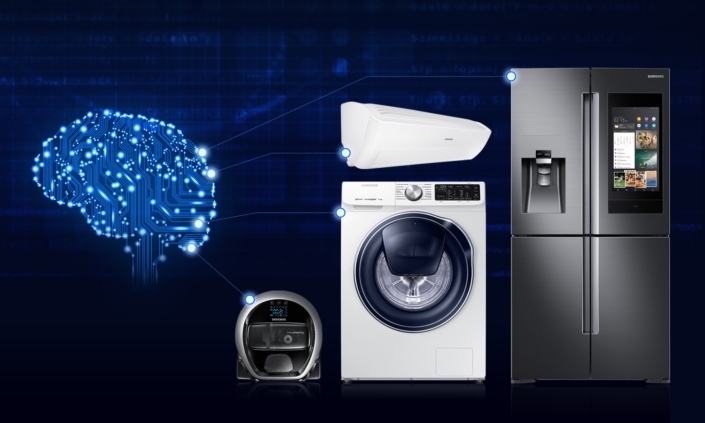 Through the constant study and improvement of algorithms by Samsung’s Digital Appliance development team, HomeCare Wizard has been developed to analyze and study changes in sensor data at the industry’s most comprehensive levels, while the appliances are running. The more often users use their devices, the more precisely HomeCare Wizard can suggest solutions. 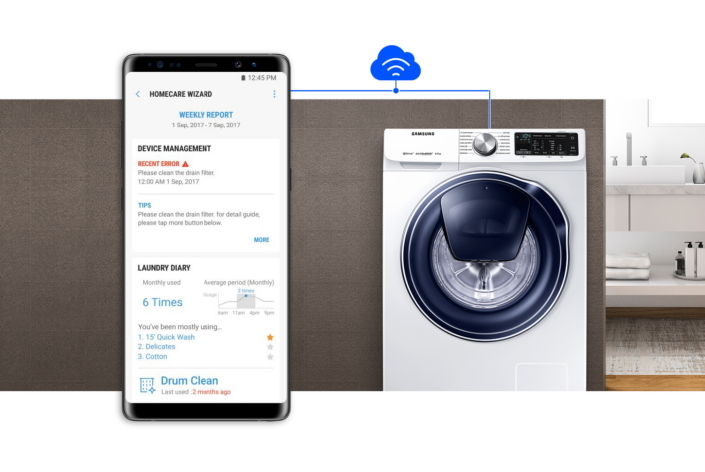 HomeCare Wizard will be available on a wide range of products in Samsung’s 2018 smart appliance lineup, including the company’s latest washing machines, Family Hub refrigerators, air conditioners, cooking appliances, and robot vacuum cleaners.